TOO OFTEN we think about the history of the Adirondacks without considering its context. 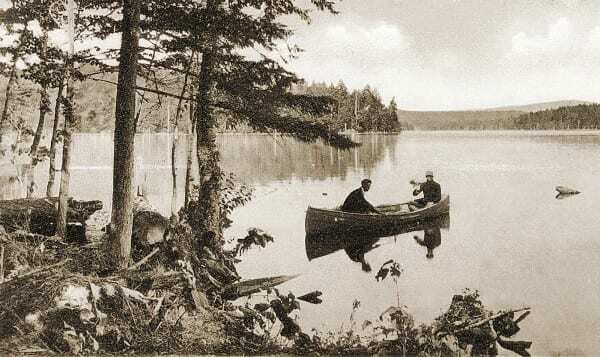 We know something about the dramatic events of the 1880s and 1890s—including the establishment of the Forest Preserve and Adirondack Park and the constitutional protection of the Forest Preserve— and we recall the equally important creation of the Adirondack Park Agency and the tortured story of the Private Land Use and Development Plan. But do we grasp the relationship between the Adirondacks and the state’s urban and commercial centers, especially, of course, with the megalopolis at the mouth of the Hudson River? The resources of the Adirondacks were exploited for markets downstate. The iron and wood mined and harvested here helped foster the frenetic industrialization of the United States that followed the Civil War. And water from Adirondack rivers and lakes was essential to the canals and other commercial waterways on which these resources moved. 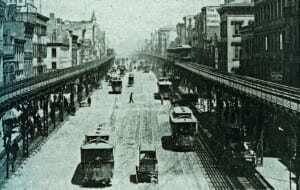 We may have a blue line marking the boundaries of our Park, and we may like to think, as I usually and unreflectively do, that when we cross that line, we have somehow passed into a world distinctly removed from the grime and cacophony of the city and factory. But as David Stradling shows in The Nature of New York, nothing that happens in New York State happens in a vacuum. In many respects, the history of the Adirondacks is determined by urban and industrial history. The same forces of industrialization that altered and polluted so much of downstate are intimately implicated in both the exploitation of the Adirondacks and the protection of our still-splendid corner of New York. Trained by the eminent environmental historian William Cronon, David Stradling understands his task to be the description and explanation of human-caused change over time. This means figuring out what changes have occurred—from Long Island Sound to Lake Erie—and then explaining how human activities and culture are behind those changes. Human activities include the obvious—like clearing forests for agriculture or, conversely, setting aside a forest for watershed protection and recreation—and the less obvious, though no less significant—like unintentionally introducing exotic species such as Eurasian watermilfoil. Behind human actions lie cultural values, and these, too, must be assessed as we compile the environmental history of a place, whether the place is small and discrete, like Central Park, or huge and varied, like the entirety of New York State. Understanding values helps us figure out why human societies do what they do and why societies are so often divided. Some people want to drain wetlands to build McMansions, while others see these wetlands as invaluable habitat for endangered species. The competition between sets of values and the triumph of one over another largely determines what we end up doing with our land, water, and air. 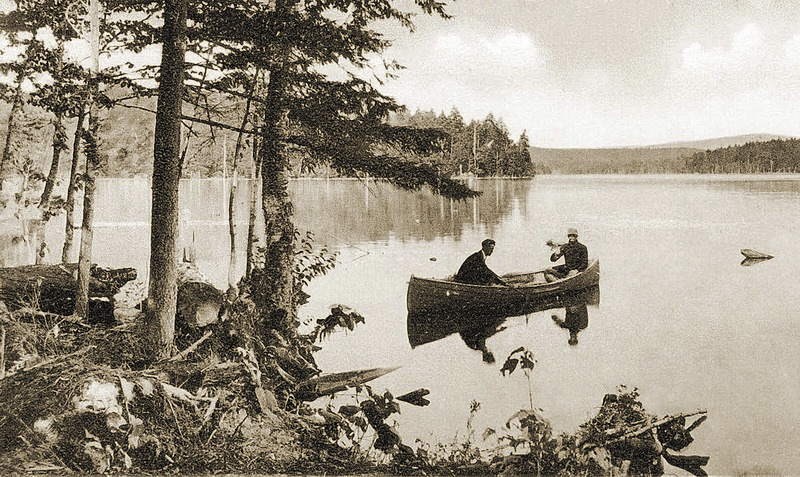 Tourists flocked to the Adirondacks in the late nineteenth century in search of wilderness adventures. The Nature of New York is for the most part based on secondary sources; that is, Stradling has read diligently in the huge canon of history about New York and the Northeast. He thus mostly depends on the work of other historians, who have mined the primary data and produced a formidable body of social, cultural, urban, and political monographs. No one before him has sifted through these hundreds upon hundreds of books to assess the environmental history of the entire state. The result is a well-conceived and lucidly composed book. It tackles a subject I would have thought impossible to organize reasonably and establishes sense and order. By the final chapter, any reader will have a good understanding of how New Yorkers have interacted with their natural and built environment and how this relationship overlaps and flows from the state’s social, business, agricultural, industrial, urban, and cultural history. In the introduction, Stradling settles on two main themes. First, if we study environmental history, we learn much about many other aspects of the past, including, among others, social, economic, and cultural history. 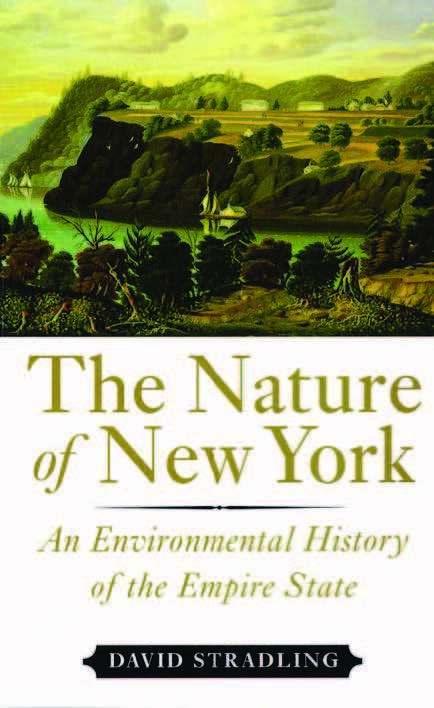 Second, just about every subject that falls within the purview of contemporary environmental historians can be found, almost always prominently, in the story of New York State. We’ve got it all here: a frenzy of fur trapping, subsistence agriculture followed by commercial agriculture, industrialization at levels seldom seen anywhere else on the planet, logging that cut billions of trees and sent them roaring down the state’s many rivers, appalling amounts of pollution, anthropogenic epidemics—the dreary catalog seems endless. We also have powerful movements to conserve and protect. The existence of the Forest Preserve in the Adirondacks and Catskills reflects one of our country’s earliest and most successful attempts to reverse the ruthless ravages of nineteenth-century logging. We have magnificent urban parks—Manhattan’s Central Park and Brooklyn’s Prospect Park, for example, both designed by Frederick Law Olmsted—that set the standard for designers across the country. And New York sent great environmentalists, from Theodore and Franklin Roosevelt to Robert Marshall (one of the first to climb the forty-six Adirondack High Peaks), out to defend the country’s remaining natural resources. 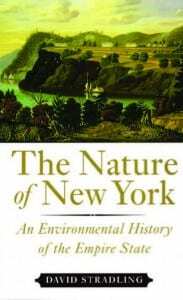 The book proceeds chronologically, beginning with the Native Americans, who significantly altered the New York landscape (with the exception of the central Adirondacks, which did not have Indian settlements) with fire and agriculture. When the first Europeans entered the stage, they exploited the nascent colony’s natural resources for profit. The earliest of these was beaver pelts, some of which doubtless came from the Adirondacks. At the same time, European farmers began the slow process of replacing native flora and fauna with imported crops and animals. The histories of the Adirondacks and downstate are intertwined. In 1825, New Yorkers completed one of the new nation’s premier engineering feats: the Erie Canal, another market-driven alteration of the landscape. It made New York the Empire State, and it depended on a reliable, steady input of Adirondack water. The same era that produced canals and turnpikes saw the emergence of romanticism, a European cultural movement, adopted enthusiastically by American intellectuals such as Ralph Waldo Emerson, who famously camped on remote Follensby Pond in 1858. The importance of romanticism for the environment is that it promoted a new and radical idea about nature: that it was spiritually enriching. This in turn led to tourism and impelled New Yorkers to take tentative steps toward preserving some of their natural heritage. By the Civil War, New York was deep in the throes of rapid and mostly unplanned industrialization. Eventually, reformers demanded that the worst excesses of the state’s shockingly filthy factories and mills come under government regulation. The battles over instituting and enforcing such regulation continue to this day. Two towering figures in this struggle, New York governors who moved on to the White House, were Theodore and Franklin Roosevelt. A complementary movement was the drive to assert a measure of state control over the forests of the Adirondacks and Catskills. In 1885, the state legislature established the Forest Preserve, and in 1894 a new constitution, written when many New Yorkers feared that our forests would be devoured by thoughtless exploitation, declared that the Forest Preserve would be kept forever wild. The twentieth century saw reforestation of vast acreages previously dedicated to agriculture and the emergence of a grass-roots environmentalist voice as New Yorkers sought to deal with the residues of pollution and degradation and also to better protect what remained of their natural heritage. In the Adirondacks, this led to the establishment of the Adirondack Park Agency in 1971, part of a nationwide movement to impose reason and restraint on uncontrolled and unplanned development. With The Nature of New York, David Stradling has taken what must have seemed measureless reams of unrelated data and woven them into a coherent tapestry. The amazingly varied geography of New York—from Manhattan to Marcy—not to mention its complex, exhaustively documented human history, might have intimidated the less adventurous. The Nature of New York is an important achievement, and both scholars and Adirondack enthusiasts looking to put the Park’s history in a larger context will find it priceless.